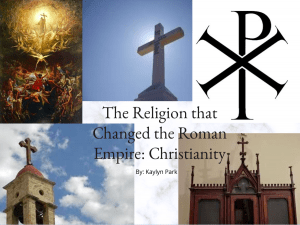 How did Christianity become a religion in the Roman Empire? Here is my e-book about the spread of Christianity in the Roman Empire and how it spread or influenced the growth of the Roman Empire. 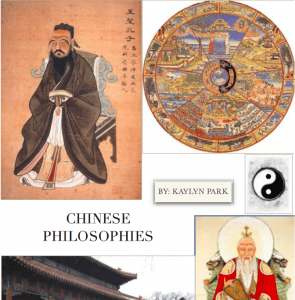 Click above to read the whole book about the three Chinese Philosophies. This book provides information about the belief, growth, and use of religions in China: Buddhism, Confucianism, and Daoism. It provides information about the origins of these philosophies and how they were spread around the world, with a long history. 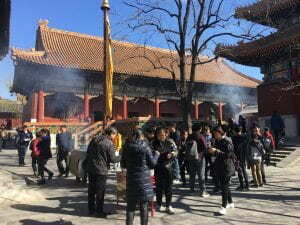 At the Lama Temple (Buddhist Temple), I learned that people practice their belief mostly by praying with the incense. In addition, this temple was built on the ninth year of the Qing Emperor Qianlong’s reign. The Buddha (Siddhartha) was the central figure of the Buddhists and they respected the Buddha. The interesting thing I learned was that Buddhists believe that if you break 1/4 of an incense, you liv only till 80 and if you break 1/2 you live till 40, 3/4 you only live to 20. The people (Buddhists) who comes to this Lama Temple, always respects the Buddha like he is really alive and serving his people. At the Confucius temple and school, I learned that the large bells and the words written by Confucius was an important object of belief to the people who believe in Confucianism. 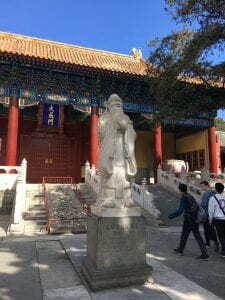 The interesting part was that the Da Cheng Hall was where Confucius and the learners worshipped by the Emperors.